Drive couplings are an essential, if not the most important part, of many drive trains and generally go un-noticed during day-to-day operation. It is only when things go wrong that the inquest begins into the cause of the failure, resulting in a search for a remedy that will ensure that the failure event is not repeated. By comparison, in the instances of drive trains which continue to operate reliably over extended periods, little thought will be given to the resultant and ongoing benefits being realised from the initial up front time spent during the specification and selection process. The many benefits of correct drive coupling selection start to be realised as early as the installation phase, where the right coupling will be quick and easy to install and integrate, accommodating any angular, radial or axial misalignment between the input and output sides of the drive train. This in itself can save hours or even days of un-productive time trying to install a compromised solution. Once in operation, a correctly specified coupling will never transmit or induce stress or fatigue to other parts of the drive train, maintaining a reliable method of transferring torque, whilst acting as a protective device. This is the foundation for high uptime performance within any installation. Having spent the time at the design stage ensuring that the coupling to be used is able to meet or exceed all of the technical and application specific criteria, you can then be rest assured that the coupling will also have the capacity to accommodate a level of unexpected deflection or increase in torque or speed, without failing whilst in service, providing that it is still operating within its initial design parameters. This “factor of safety” built in through correct selection at the design stage, will not only guarantee uptimes, but also save many hours of unplanned remedial maintenance, and the costs of replacing an incorrectly specified coupling. Although often a very small part within a large installation, a correctly specified drive coupling will provide years of interrupted service. In many sectors, maintenance teams and their valuable resources are often stretched, having to deal with unplanned remedial maintenance tasks in addition to planned maintenance schedules. The ability therefore to be able to eliminate the coupling as a source of potential problems has in itself a significant value. 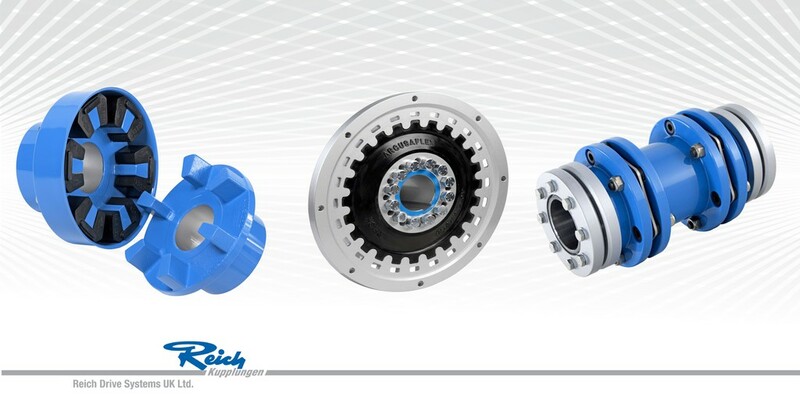 Reich will be happy to assist any customer with the coupling selection process, and with a history spanning over 70 years, Reich Kupplungen has built up unrivalled expertise in the design and manufacture of drive couplings for use across a wide range of industries and applications. The company also embraces a D2C (design to customer) principle, which allows the creation of customised high-quality and long-lasting power transmission products in collaboration with the customer and their specific requirements.